When I have sinned, deep down I know that I did it. I felt the pull of temptation. I responded at some point willed to sin. At some point I said “Yes” to the devil as he tempted me through old habits, old desires, my old motives, or appealed to my old goals in life. The words above have the personal pronoun “I” and a reader may think this is David Carter speaking about David Carter’s sinning. But that is not the truth. Those words were written by Billy Graham in his book The Holy Spirit. Graham is describing his own personal battle with temptation. 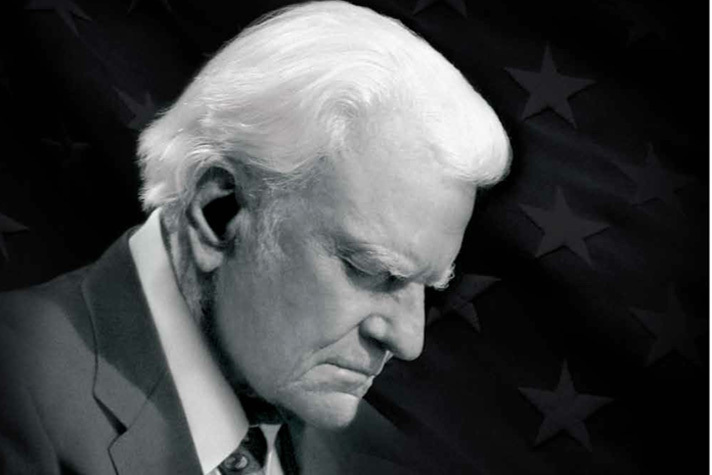 Yes, Billy Graham sinned. You see, Billy Graham fought the forces of evil on a daily basis, just like the rest of us. He, after all, was only a man. One of the big differences between Graham and many people in this world is that Graham is keenly aware that he is a man of two natures, the Holy Spirit nature moving him on from glory to glory with the Lord and the old, sinful nature that is subject to all the demonic forces that Satan can throw at him. Many who do not know The Lord are not even aware of this “split personality” [if I may refer to it that way]. They are banking on their sense of right or wrong [their conscience] which is grounded in social norms or their whole life just revolves around the avoidance of breaking man’s laws. Maybe they are thinking “I am a good person”; I have no ill-will toward anyone and that is good enough. Sometimes people are depending on their social activism to pull them through; helping the less fortunate is solid evidence that I am a good person. All these things can be wonderful and can lead to good people doing good things. Let’s not demean anyone’s effort to be good. If we cooperate with the Holy Spirit and ask the Holy Spirit to help us, He will give us the power to resist temptation. This is so galling because it does not happen overnight; it can take days, months, years or even a lifetime to overcome major problems but as we have tests, the Holy Spirit can make us stronger as the result of how we handle the tests. It is a struggle. Sometimes we win. Sometimes we lose. Sometimes we act, not even aware that our actions are sinful but as we grow in our faith and knowledge of the Lord, we begin to see that we should not have done what we were doing. When this occurs that could be the effect of spiritual maturity, the Holy Spirit is conforming us more and more to be like the Lord Jesus Christ allowing us to see our flaws. The good news for all of us is that God recognizes that we are in this inner conflict.